Photos by Rob Tysall. Tysall’s Photography. 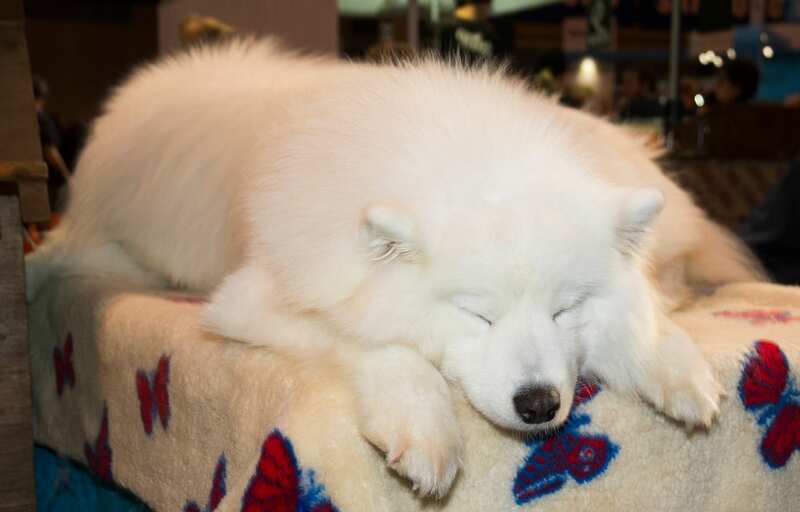 Even though most of the news stories surrounding Crufts following their 2016 event seem to be focused on the German Shepherd issue, which certainly is something that needs looking into, let’s remember that overall this was a superb dog show which tens of thousands of people – and their healthy, happy dogs have thoroughly enjoyed. 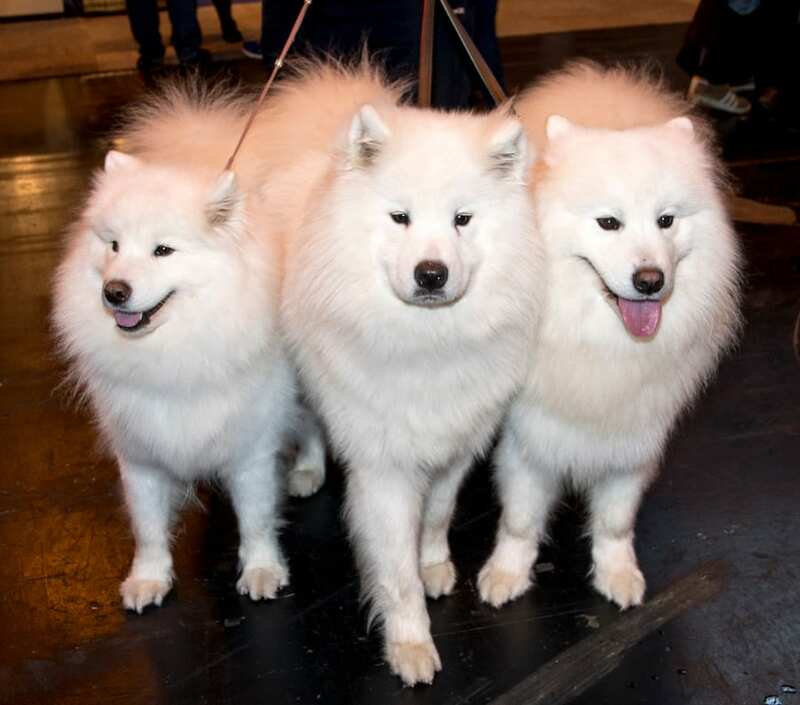 It’s worth remember that Crufts is not just about winning prizes for the best dogs, it’s so much more. 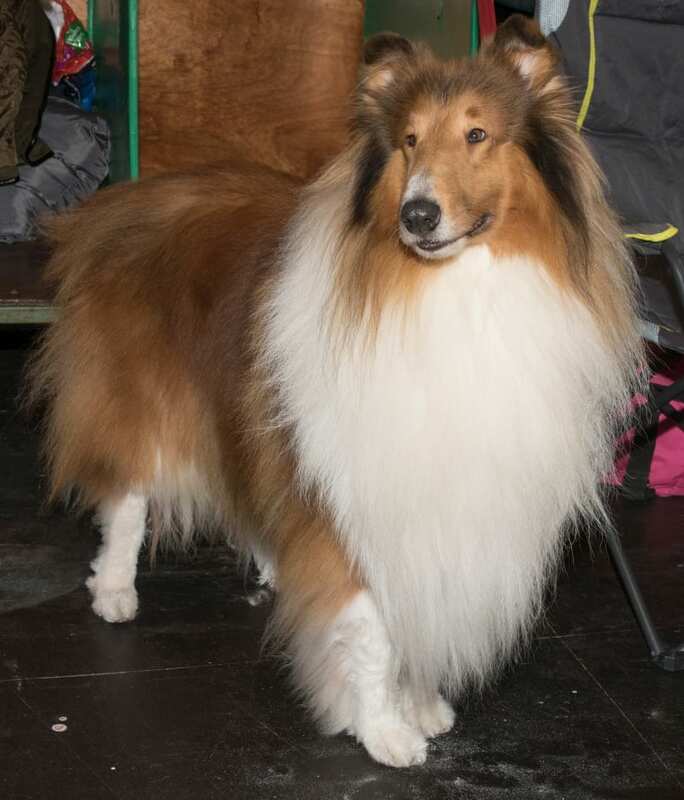 The show is there for the benefit of the entire dog-loving public. 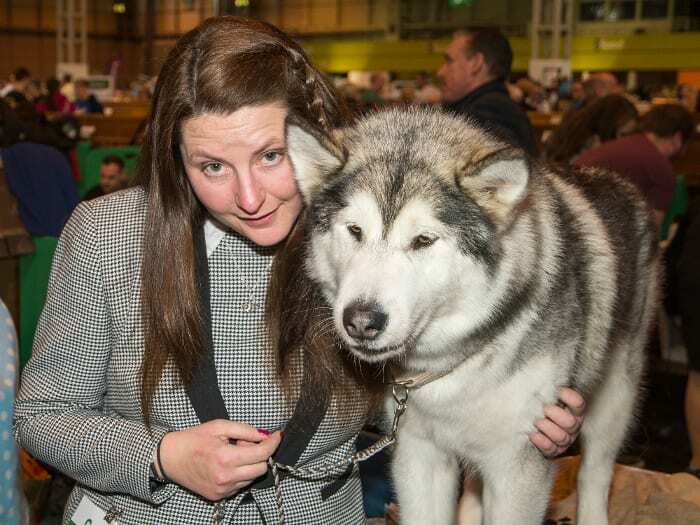 And what I love about Crufts is the opportunity to discover more about the canine charities and organisations that show the amazing bond that we humans can develop with our four-footed friends. Charities such as Assistance Dogs, Hounds for Heroes, Dogs for Good, PAT Dogs, Hearing Dogs and so many more. It was a real pleasure to meet Allen Parton the founder of Hounds for Heroes, who with a team of his dedicated volunteers were there raising funds to provide specially trained assistance dogs to injured and disabled men and women of the UK Armed Forces and Emergency Services. 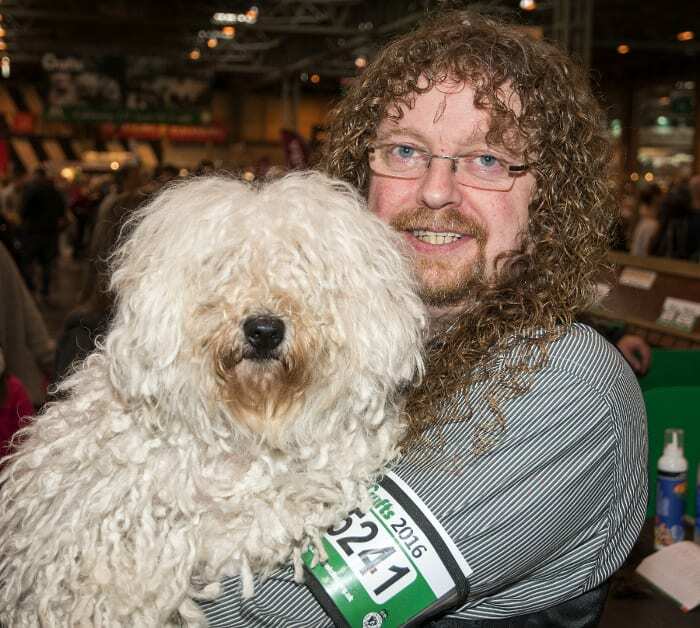 It was Allen’s 20th year at Crufts. The story behind the founding of Hounds for Heroes is an incredible story of a unique partnership of dog and man, which literally was life saving. Back in 1991, Allen a Royal Navy Officer was serving in the Gulf when he suffered a traumatic head injury. The accident left him in hospital for five years. After awaking from a coma he had couldn’t walk, talk, read or write. His memory had gone – he couldn’t recognise his wife, Sandra or his children. He had also lost the ability to feel any emotion. Life could not have got much worse for Allen and his family, and they were at breaking point. However that all changed when a dog called Endal came into his life. 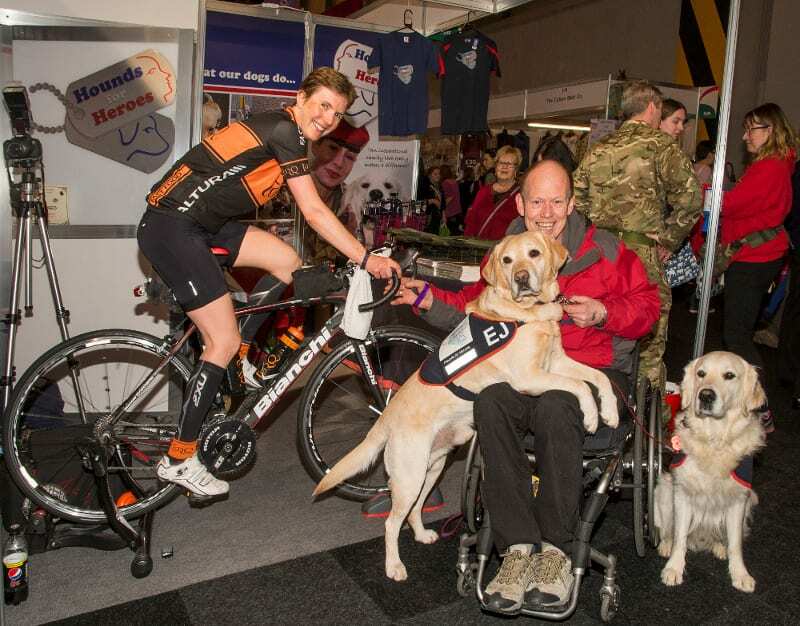 Because of the remarkable partnership between Allen and Endal, Allen founded the charity, Hounds for Heroes, raising money to provide more assistance dogs to help injured and disabled men and women of the UK Armed Forces and Emergency Services. He recognises that it’s not just practical and physical help, but the emotional help, comfort and support a dog gives. 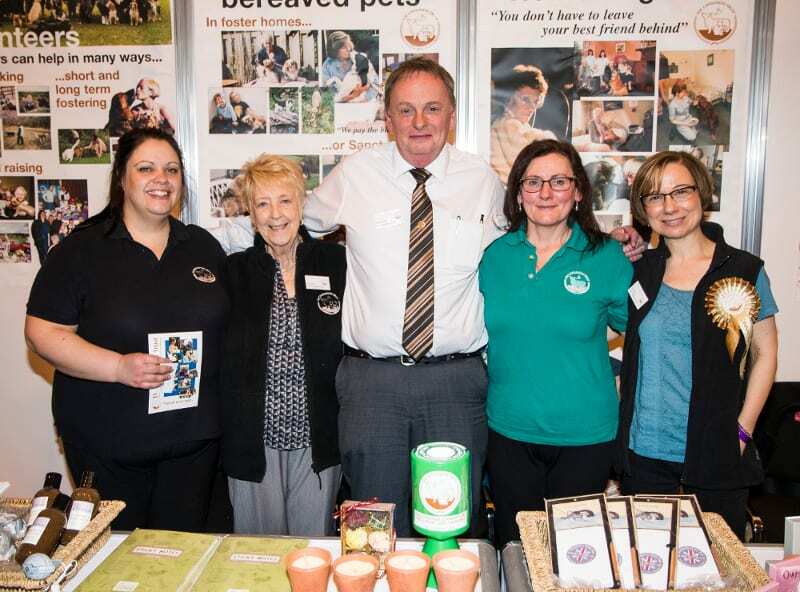 Also on the Hounds for Heroes stand was Penny Barker, a vet at Burghfield and Goring in Berkshire. Penny was working up a sweat on her bicycle as she did her first in a series of fundraising cycle rides ‘Going the Extra Mile’ raising money for Hounds for Heroes and the British Heart Foundation. People were asked to make a donation and guess how many miles she’d cover in the 10 hours, with a chance of winning a great prize. Penny was also planning to Race Across the West – an 880 miles journey and next year she hopes to be doing Race Across America, a 3,000 miles fund raising trek. 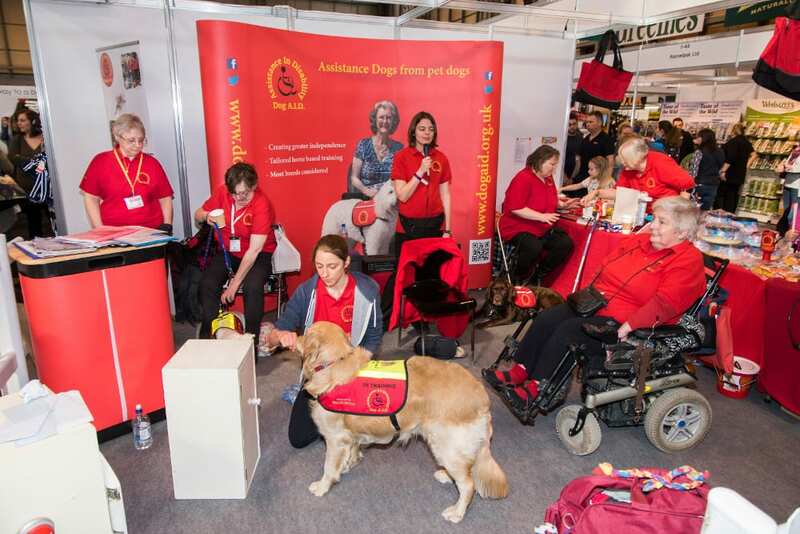 Another fairly new charity we discovered at Crufts was Dog A.I.D. 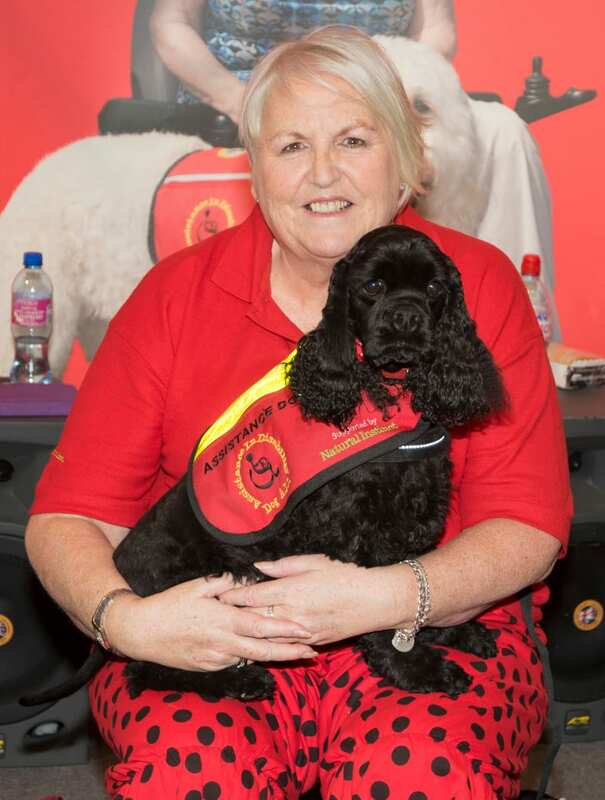 which is part of the umbrella organisation of Assistance Dogs. Dog A.I.D. which is run by volunteers, trains the disabled person’s own pet dog in their own home to become qualified assistance dogs. We talked to Carolyn Greenhalgh who explained that a volunteer trainer comes out to the person’s home. The training is all done at the owner’s pace whether it takes six months or even a couple of years. But it’s all tailored to meet the different needs of the client. Another member of the volunteer team explained to me that all the training is tailored to the owner’s own dog. 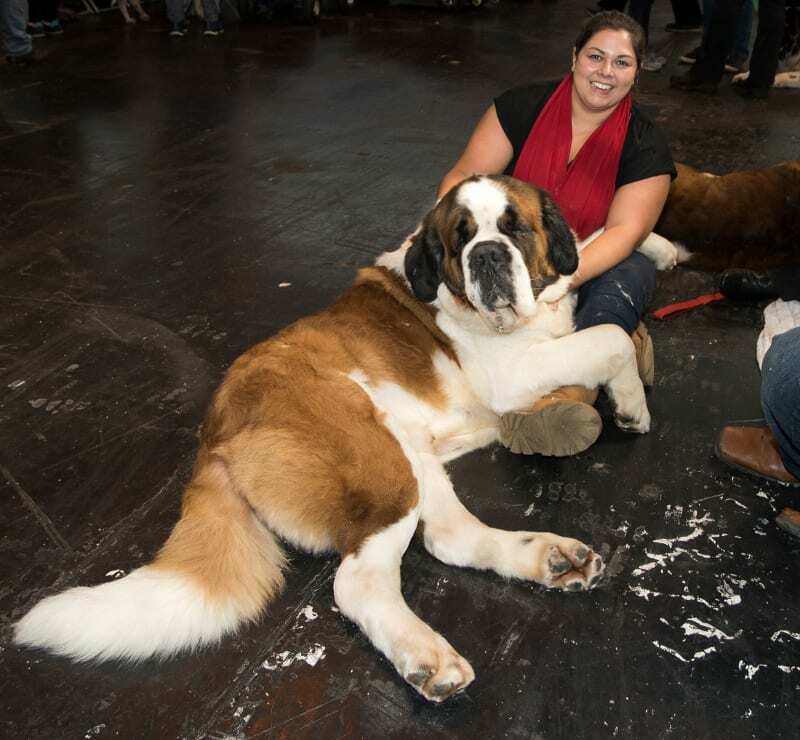 It might be a small dog, or a large dog. But they recommend that the dog is under four at the start of the training. There is an assessment first to ensure that the dog will be able to do it, and that it will benefit the owner. Carolyn explained that Loki gives her a signal when these substances are around by stamping on her right foot which he does constantly to alert her. “He also brings me the telephone and he has his own house phone, if I am on the floor and cannot get up he fetches the phone for me. He is my carer. The Cinnamon Trust was another incredible charity which is doing a brilliant job. Founded by Mrs Averil Jarvis, she recognised the fact that when a person gets older, they worry about their pet and what will happen to it if they have to go into a care home, or a hospital or the pass away. Sometimes elderly pet lovers will decide not to have another cat or dog when their old faithful has gone, purely out of fear of out-living them. So they lose out on years of companionship. Averil founded the charity which is named after her own beloved Corgi, Cinnamon who passed away aged 17 at the time she was creating this much needed organisation in 1985. Averil has created two unique home-from-home sanctuaries in Devon and Cornwall, where pets whose owners have died or gone into residential care, can live out their lives in comfort. The charity has also gathered an army of 15,000 community service volunteers who help the elderly with any kind of problem that arises with their pets, from walking the dog to cleaning out the budgie cage if the owner cannot manage it. They Cinnamon Trust also provides a national fostering service for pets whose owners have to go into hospital. Volunteer foster carers take the pet into their own home until it can be reunited with its owner. Additionally long term care can also be provided for pets whose owners have died or moved into residential accommodation. And whether the owner is separated from their pet for a short while or long term, they are kept in touch through visits if possible, regular photos and letters. The individual heart warming stories you discover as you wander from stand to stand are quite amazing. 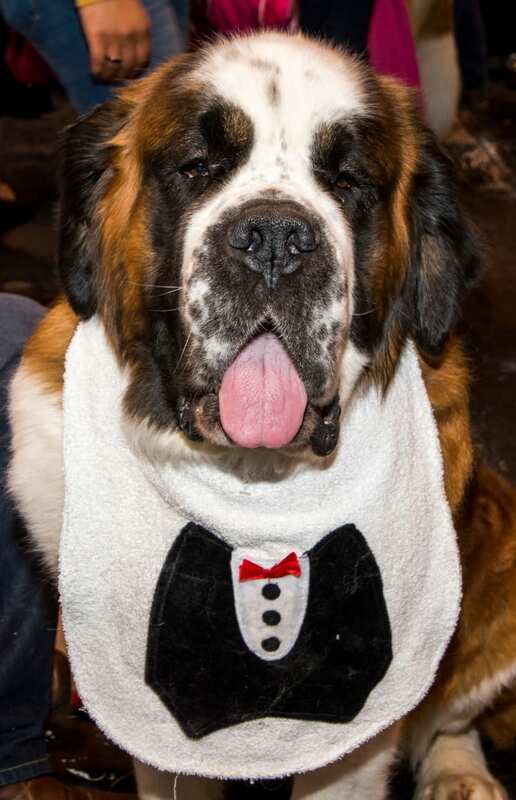 Enjoy the photos here of pets and people, and I for one will be looking forward to next year’s Crufts. « SHELLY BEACH SNIPPETS. No. 62 March. 2016.